Before we go, I wanted to let you know that Athena’s mom is offering another one of her books for free this weekend. The Snowflake Pendant is a great book, I reviewed it back in 2015, click here. To get your free copy on Amazon Kindle, click here. 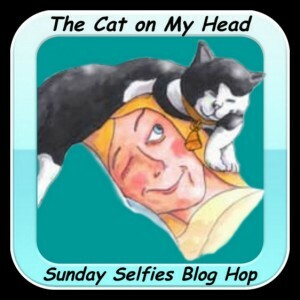 This entry was posted in Blog Hops and tagged Emmy, KaTwo, Millie, Penny, Polar Bear., The Cat on My Head Sunday Selfies Blog Hop, Tocktober by pilch92. Bookmark the permalink. Great work on your Tocktober selfie shots! I hope Marie does well with her books too! Now that’s a whole lotta tocks!!! ps – Mom forgot to post Noelle’s puzzle yesterday but she added it to today’s post! Adorable! Still praying for a good diagnosis next week. ~hugs~ Free reads are always appreciated. Thanks for sharing! What a beautiful clowder – thanks for sharing such cutie-pies! A parade of tocks. Excellent. Thank you. Mom sends her best. Aw, I just love seeing these! Adorable, each one! Mom has not been able to catch mine or Ninja’s YET! And we are looking forward to reading Athena’s Mom’s Book! Great views of the south sides! Another bunch of precious tushies! What a lot of booties all shakin’ away. We hope KaTwo is doing OK.
Those are some awesome tocks, pals! We are still purring and praying for KaTwo. Now THAT’s what I call doing Tocktober right! All the tocks are very nice, but I am partial to Emmy’s nice floofy tailio! Purrfect scores for all of these tocks! So much propriety…all tails are down! Selfies from your back side how original, lol !